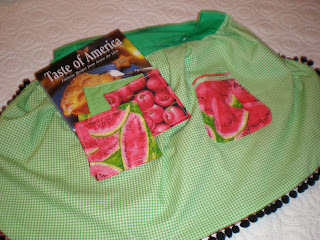 Cutie apron - I love it! I love the skirt ones like that... so retro. Gorgeous! Darn impressive! Can't sew at all!!! So cute and very fun!! 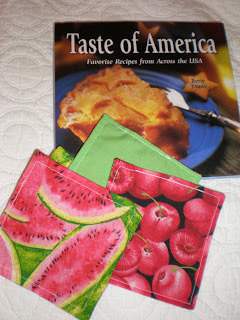 Read my blog...theres a treat for you!!!!!! how cute is that? love it!!! 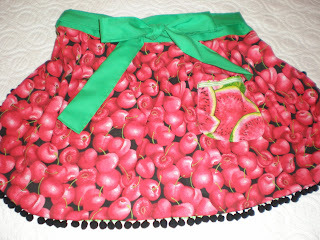 Love the apron - such cute fruity fabric! Swaps are always so much fun aren't they?